Serpollet Italiana was an Italian automotive steam car manufacturer (under French licence) based in Milan with operations in 1906 through 1908. 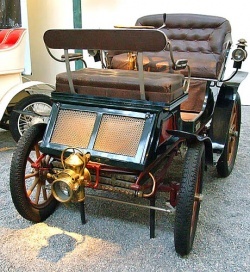 The 'Serpollet' was a car French active from 1899 in 1907. 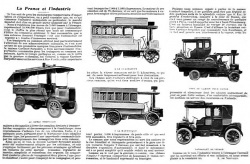 Some aspects may seem inappropriate to talk about the company as Serpollet "automobile", since the real automobile had always been considered as half combustion engine, while the Serpollet has always been faithful to the steam engine. But its success, especially in sport was such that it can be safely classified as a viable competitor of the other French Car active in recent years in the nineteenth and in the early twentieth centry. The company was founded around Paris by Serpollet Leon, a character who had some share in good experience in mechanical and steam engines. Already in 1885 he made his first tricyclo steam vehicle. 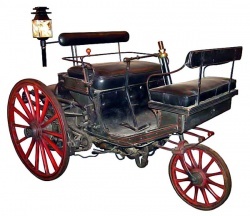 In 1890, with an improved version of the same vehicle that could travel from Paris to Lyons. At the end of the decade, as already seen, they founded the company for the production of steam cars. To counter the growing success of cars with combustion engines, he signed an agreement with Frank Gardner, an American financier, and gave life to Gardner-Serpollet, which would always be known as simply Serpollet. 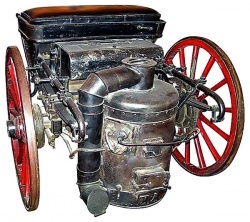 His car had the particularity to mount their steam engine, as in normal cars with engine firing, but in the case of Serpollet, were equipped with fake radiators, because of certain stigma that water in a boiler was not cool! 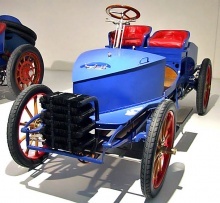 They launched the Serpollet even in sports competitions and thin the April 13, 1902 in Nice they recorded one of their greatest achievements: a car race, known as Oeuf de Pâques with a steam engine from 100 HP and achived 120.8 km/h which was a world record for speed. It is a fact that we can smile at today, widely within the reach of even more economic utility, but the beginning of the twentieth century these results were of great significance for the era. It is also interesting that the car was a steam Serpollet to fly after three annni the historic record of over 100 km/h of Jamais Content to electric traction, while the internal combustion engine set the third record a few months later, just beating the record of Serpollet. Other sports brought to the attention of the Serpollet in Europe. The cars of this company would often experiance an motor burst. The success of Serpollet then crossed the border into France and the cars were sold in England in Germany and even Italy. In 1906 they were produced under license in a factory in Milan. But suddenly, in 1907, with the death of Léon Serpollet the company closed its doors and following year the Italian adventure of Serpollet ended.